These rubs pretty much cover everything from pulled pork to brisket and are good enough to make ahead in large quantities to store in the cupboard. Take a look through these fantastic rub recipes and find a few to your liking. Rubs are not magic. These spice blends are designed to flavor meats while creating a crusty surface as the meat cooks. The amount to apply is the amount that sticks. Pat dry meat before applying a rub, sprinkle over the entire surface and gently pat in place. Chuck Ozburn sent in this fantastic, classic-style Carolina barbecue rub recipe. Try this rub next time you want to make a traditional Carolina Pulled Pork. Given that it is a well-balanced rub that goes light on the salt and spice, with just a touch of sweetness, it is perfect for pork. In Memphis, the rub is the most important ingredient aside from the meat. Often ribs are served with only a rub and without sauce. This means that the barbecue rub has to provide all the flavor in order to make Memphis-Style Barbecue. This rub starts with a generous portion of paprika and then builds a slightly spicy, but definitely savory profile, to help you make the most of your barbecue. This Memphis Rub is particularly good on ribs but can be used on any smoked meat. There's a big shaker of Magic Dust next to the salt and pepper in my own kitchen and at all my restaurants. This classic pork rub recipe is low in salt and sugar, which is great for pork as it tends to have a salt flavor already. The high black pepper content is going to give this rub a nice heat without a lot of the chili pepper effect. This is a great rub for ribs or pulled pork. This traditional brisket rub is most commonly used Texas. Though simple to make, this rub contains what you need to make a delicious smoked barbecue brisket. This is a basic rub that will give you the perfect balance of sweetness and the saltiness that beef needs. 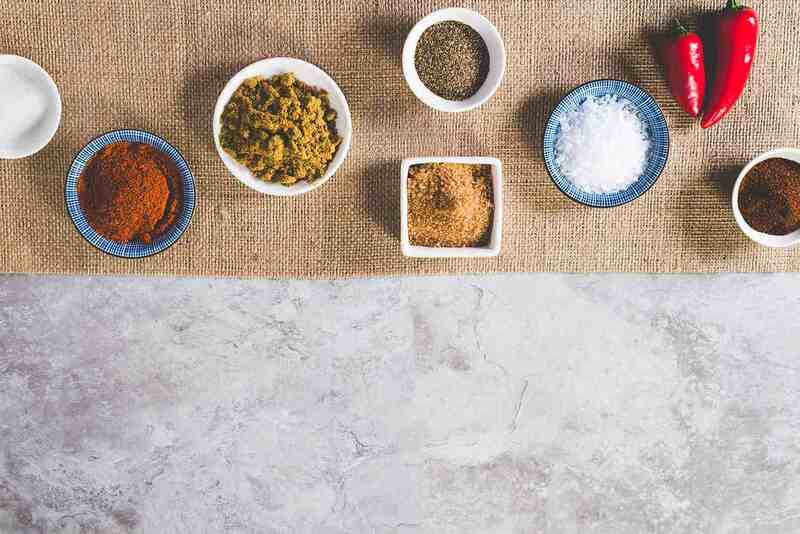 Work with your favorite flavors to create your own rub. In Memphis, ribs are traditionally served without sauce, though this doesn't mean that the meat is tough and dried out, there just isn't a ​barbecue sauce generally served. 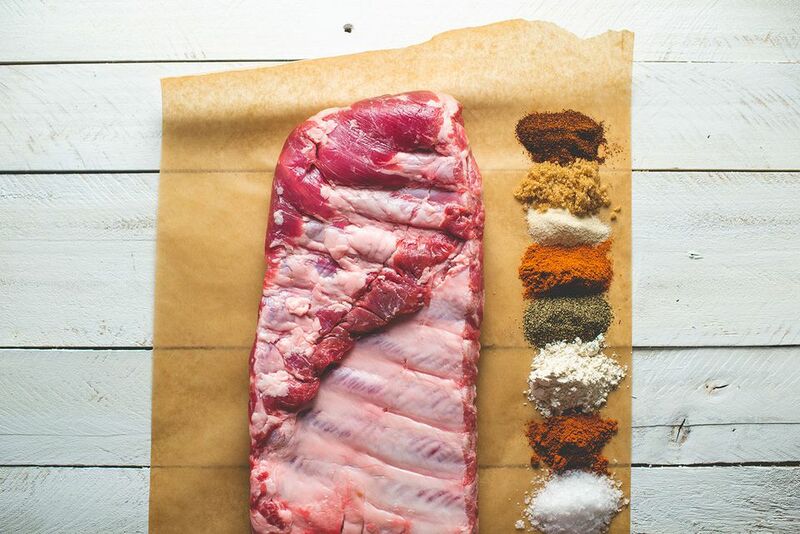 This traditional Memphis style dry rib rub is the base of a great rack ​of pork ribs. This recipe is sugar-free, so it is all flavor without the sweet. In Kansas City, they know BBQ Ribs and this is the barbecue rub recipe for traditional Kansas City-style ribs. Finish them off with a good barbecue sauce and you'll have a fantastic meal. This rib rub recipe is largely comprised of brown sugar, so it makes a deliciously sweet rub. It's not recommended, however, for hot and fast cooking because the sugar will burn, so avoid high temperatures when using it. This traditional pulled pork rub will provide you with the best odds of making a great batch of Carolina Style Pulled Pork. This rub calls for a little dry mustard that won't overpower the meat, but certainly adds a lot of flavor with just a touch of heat. This is a good, sweet brisket rub that you will need only one measuring cup for. Of course, you can adjust the heat by using mild or hot chili powder.